Voters are called to the polls to elect the new members of the People's Majlis. Firsts results give the victory to Maldivian Democratic Party, leaded by former President Mohamed Nasheed. 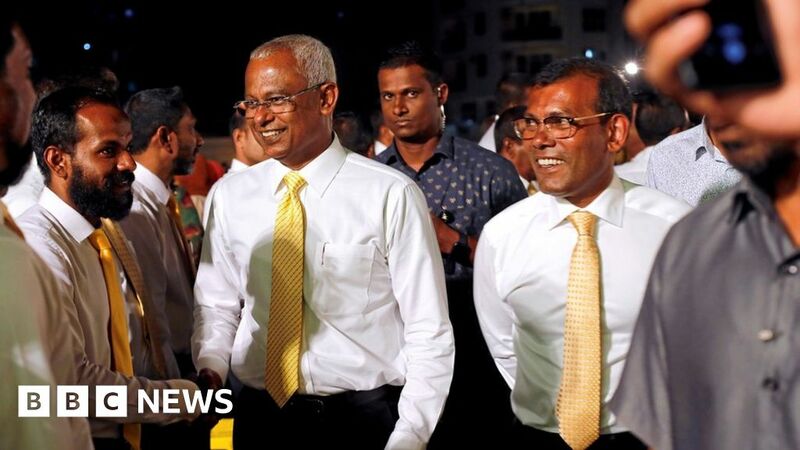 The expected result solidifies a comeback for the ex-exiled leader Mohamed Nasheed. 2018-02-6 Former President of the Maldives Mohamed Nasheed calls from exile for other countries to intervene in a political crisis engulfing the island nation. Nasheed asks India to help release prisoners and the United States to curb leaders' financial transactions. 2018-11-19 President of the Maldives Ibrahim Mohamed Solih and his Cabinet announce that the Maldives is set to return to be a member of the Commonwealth of Nations as a Commonwealth republic. 2018-11-17 Ibrahim Mohamed Solih takes the oath of office and becomes the 7th President of the Maldives. 2018-02-5 The President of the Maldives, Abdulla Yameen, declares a 15-day state of emergency. Security forces storm the Supreme Court of the Maldives in a bid to block the court-ordered release of jailed opposition politicians. Police arrest former President Maumoon Abdul Gayoom.